More than two dozen of the world's largest pharmaceutical companies have agreed to provide funding and other support to Interpol's battle against counterfeit prescription drugs, the international police agency said Tuesday. Interpol's newly created Pharmaceutical Crime Program aims to help health agencies, police and customs bureaus in countries around the globe stem the supply of bogus brand-name and generic medicines, as well as identify and dismantle the organized crime rings distributing them. Those rings, which operate across borders, are raking in billions of dollars every year, costing legitimate drugmakers a small fortune in lost sales. Meanwhile patients who unknowingly take counterfeit drugs often are poisoned or get sicker because they're not receiving what the doctor prescribed. Experts estimate hundreds of thousands of people around the world die because of counterfeit medicines each year. The pharmaceutical companies have pledged a total of (EURO)4.5 million, or nearly $5.9 million, over three years to help Interpol with efforts including training local law enforcement officials on investigative procedures, evidence handling and how to better work with partners outside their countries. Interpol also will help those authorities build up their infrastructure and target enforcement actions against crime rings that make and sell fake drugs, and also divert medication illegally to countries where it's not approved. "We will develop a program according to what is best for the international community and what will save lives," Aline Plancon, head of Interpol's counterfeiting and pharmaceutical crime program, told The Associated Press in an exclusive interview. "It's been difficult for us as Interpol to sustain our activities" against counterfeiting over the years, she said, because the agency's limited resources also are needed for areas the international community sees as more serious crimes. Those include human trafficking, narcotics dealing, terrorism and money laundering. Besides the financial support, the pharmaceutical companies, most of which spend millions on their own investigations to fight counterfeiting of their medicines, will step up sharing with Interpol the intelligence they uncover. Plancon said her agency, based in Lyon, France, plans to better coordinate its work and collaborate with its member countries. Interpol also will run pilot projects, experimenting with new strategies to find ways to be more effective. The industry support "forms a bridge between the public and private sectors and will assist Interpol and each of its 190 member countries to more effectively tackle the problem of medical product counterfeiting," Interpol Secretary General Ronald K. Noble said in a statement. The World Health Organization estimates sales of medicines that are counterfeit, contaminated or otherwise illegal total $430 billion a year. 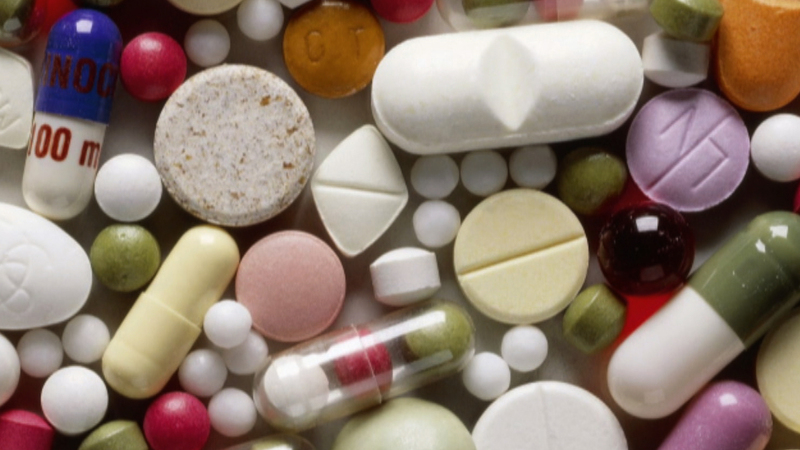 In developing countries, up to 50 percent of the drug supply may be fake. That's many times more than in developed countries, where most potentially dangerous fake drugs are sold through rogue Internet pharmacies, but counterfeit drugs increasingly are getting into the supply of pharmacies and hospitals. In the U.S., for example, three times in the last year counterfeit versions of the Roche Group cancer drug Avastin have infiltrated the wholesale supply and been sold to cancer clinics and hospitals. An unknown amount of those fakes was administered to patients. And in Pakistan last year, 109 heart patients died after taking counterfeit medicine. The 29 companies supporting the effort include Amgen Inc., AstraZeneca PLC, Eisai Co., GlaxoSmithKline PLC, Johnson & Johnson, Eli Lilly and Co., Merck & Co., Novartis,AG, Pfizer Inc., Roche Group and Sanofi SA. John Lechleiter, chairman of the trade group Pharmaceutical Research and Manufacturers of America and CEO of Lilly, said Monday that the new program will supplement Interpol's existing efforts. "Counterfeiting activity is evolving so rapidly" and becoming more common, he said. As a result, one thrust of the program will be to try to more quickly spot new trends in which drugs are being counterfeited, where the crime rings are based and where they are distributing fake medicines, Lechleiter said. "This is really meant to cement some of these efforts together," he said. "After the initial (three-year) period, depending on the results, we can certainly extend that out."